Firstly: would the Saudi devils preach goodness?! 1- When we used to work in the Ibn Khaldoun Center, in Cairo, Egypt, we have authored and discussed a project of reforming Egyptian public and Azharite education and curricula to make them inculcate the culture of tolerance; this project of ours has been a first step to reform Al-Azhar institution itself. This project of ours was virulently attacked by the Mubarak regime at the time: the presidential palace, the cabinet, the parliament, and the Egyptian media. Of course, the Saudi interference (and money) instigated all such destructive criticism, accusations, and attacks; even party-affiliated, independent, and opposition newspapers attacked and verbally abused us at the time. The reason: the KSA knows very well that the aim of our project is to combat and stop Wahabi influence spreading like an epidemic in Egyptian educational curricula. The KSA knows very well that it is safe as long as Egypt (on the levels of media, culture, education, and religious life) is still controlled and dominated by the Saudi Wahabi religion, because this religious subordination leads naturally to a political one. Sadly, this goes on until now in Egypt: Egyptian media still describe the KSA (which emerged in 1932) as the "elder sister" of Egypt, though Egypt is the most ancient country in the world, emerging 7 millennia ago. 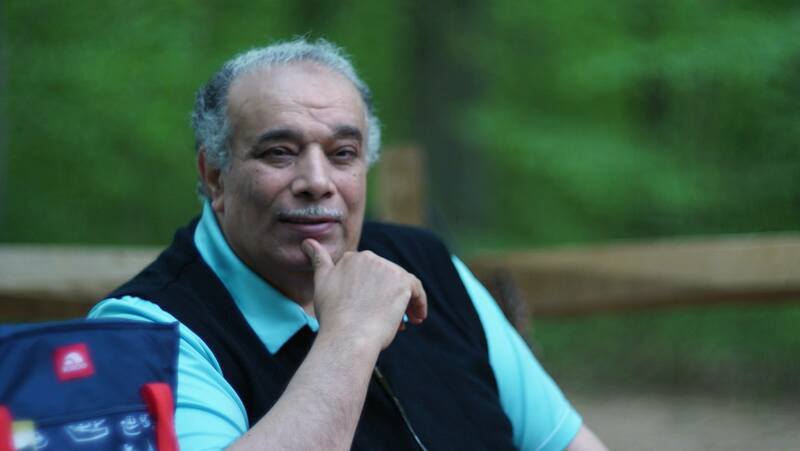 Because of our project, and other reasons unrelated to us, the Mubarak regime closed down the Ibn Khaldoun Center and arrested and incarcerated its president Dr. Saad-Eddine Ibrahim. We fled to the USA after weeks of 9/11, shortly before they would arrest us. 2- The USA embassy in Cairo, Egypt, was to some extent present within sessions of discussion of our project to reform Egyptian education, and it noticed the attacks and the smear campaign against our person. After 9/11, the former president George W. Bush Jr. demanded from the KSA to introduce religious reform and to reform its educational curricula, as he realized the veritable danger of Wahabi curricula. The quick response of the late Saudi king Abdullah was to hold some conferences and to issue some statements; he commissioned some writers to author articles attacking extremism. Meanwhile, the KSA and its cronies and allies sponsored and instigated massacres of Shiites in Iraq, thus planting countless mines under the feet of Bush in Iraq, distracting him away from the issue of reform inside the KSA; the matter was soon forgotten altogether and no one talked of it ever since. At the time, we have been a new immigrant in the USA, a new comer who is a political asylee, but doors were open for us to talk about religious reform by Quranism, within the Bush administration. This was done momentarily; as doors were closed before us gradually as the USA sank deeper into the Iraqi quagmire and hotbed of troubles. Within the Obama administration, no door was ever open for us to talk to decision makers; the expression "intellectual war of ideas" was banned and omitted from American media. The reason: the Saudi lobby fully controlled the Obama administration and its containment policy succeeded. Later on, the Saudis humiliated and showed despise to Obama on his last visit to the KSA, after manipulating him for years to serve their purposes. 3- President Donald Trump bared his fangs as he has declared a strict policy to milk the fat cow: the KSA. This frightened the Saudi royal family members and they felt the immediate need to appease Trump. The Saudis know the mentality of the businessman Trump who hunts for deals; they made use of his personality by signing many deals with him: $110 billion deals for buying arms and$350 billion over 10 years within other deals. Such sums are unprecedented in history of deals signed among countries. Before these deals, the intellectual war of ideas has been mentioned by President Trump and Tillerson, the Secretary of State. This means that reforming Wahabism is a must and the KSA should fulfill this promise of reform. Yet, the Saudis have resorted to the same containment policy; the KSA has declared launching the so-called 'moderation' center in Riyadh, under the control of the Saudi royal family. This is as if the KSA desires to 'fight' Wahabi organizations that got out of its control, like Al-Qaeda and ISIS. At the same time, the KSA would contain and stifle Trump's wish for reform of Wahabism by distracting him by hundreds of billions of $, so that he would not follow activities of the Riyadh-based so-called 'moderation' center. 5- There are two interrelated facts about the intellectual war of ideas against Wahabi terrorism: (1) we are the first thinker to begin this war, and we are and expert in it; we are still continuing it within 40 years and thousands of our Quranist articles, books, fatwas, and videos on our website, despite our modest financial means, (2) the KSA is still persecuting and chasing Quranists using its influence and money; the KSA instigated arrest waves against Quranists in Egypt, including our incarceration, and Saudi hackers attempted many times to destroy our website. What is worse is that the KSA stops our IQC and our person from reaching officials and decision makers in the EU and the USA, and Saudi money (from oil revenues) helps impose media blackout on Quranists and Quranism. This is why we rarely appear in media, despite the fact that our Quranist school of thought is the one that will save the USA and peacefully eliminate Wahabism and its danger. Despite all obstacles, Quranists on their website move from one success to another, within their modest financial means, as the number of enlightened Quranists worldwide certainly increases with the passage of time; it is because of our Quranism that many thinkers and writers now boldly criticize the wicked Sunnite religion and its deities/gods, including ancient imams/authors, the so-called 'saints', the so-called companions of the Prophet, and the so-called 'wise' four pre-Umayyad caliphs. 6- If there are rational people with reasoning minds in the American administration, they would seize the chance of our presence in the USA as an American citizen in our American VA-based International Quranic Center (IQC) to cooperate with us instead of approaching Riyadh, the sponsor and center of terrorism, to make the KSA 'combat' extremism. We will continue, God willing, to upload new episodes of this show on a daily basis. May Almighty God help us. 2- Years ago, beginning in 2011, we have produced and uploaded before on YouTube 66 episodes of out show titled "Exposing Salafism", and it was funded by a noble Quranist Muslim. We stopped for a while, and then we have produced and uploaded in 2016 Friday congregational prayers Quranist sermons, and we stopped because of lack of financial means to go on. Hopefully, we will continue this time to produce and upload 1000 episodes of short duration of our new show titled "Quranic Moments". We would like that all our beloved Quranists would spread the links of these episodes (which will be subtitled soon into English) all over the cyberspace, in order to raise awareness of Quranism as true Islam. 3- May Almighty God come to the aid of all of us; He never burdens a soul beyond its capacity.